Dental patients in the Detroit area may wonder what would happen if they didn’t seek quality dental care on a regular basis. Well the answer isn’t pretty. A common result of untreated cavities are abscesses. A tooth abscess is an infection near the root of the tooth or between the gum and the tooth. This collection of pus can be very uncomfortable, either causing a shooting pain or a dull throbbing pain. You may also experience bad breath, fever, swollen neck glands, and feelings of general discomfort associated with the infection. 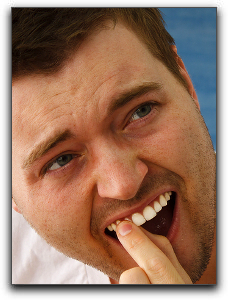 Tooth abscesses can also be caused by a chip or a crack in the tooth that allows bacteria to enter. To avoid unpleasant dental problems like abscesses, have regular visits with your Allen Park, Dearborn, or Detroit dentist. With daily brushing and flossing and regular check-ups and cleanings, you can keep your mouth in peak health. If you are looking for quality dental care in the Allen Park area, come visit us here at Szalai & Szalai DDS. Drs. Greg & Joanne Szalai have been practicing in Allen Park since 1987. We can also answer any questions you have about smile makeover procedures such as veneers, teeth whitening, and dental implants. Call 313-928-2323 to schedule an appointment! Does My Dearborn Dentist Treat Bad Breath?